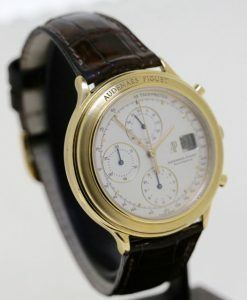 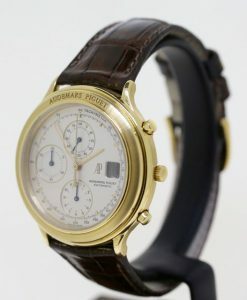 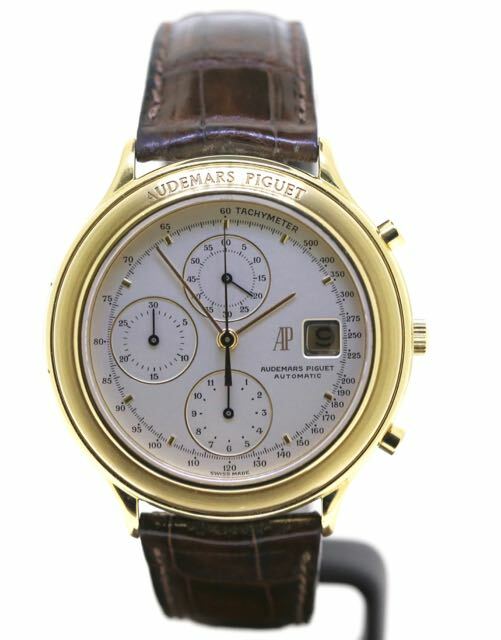 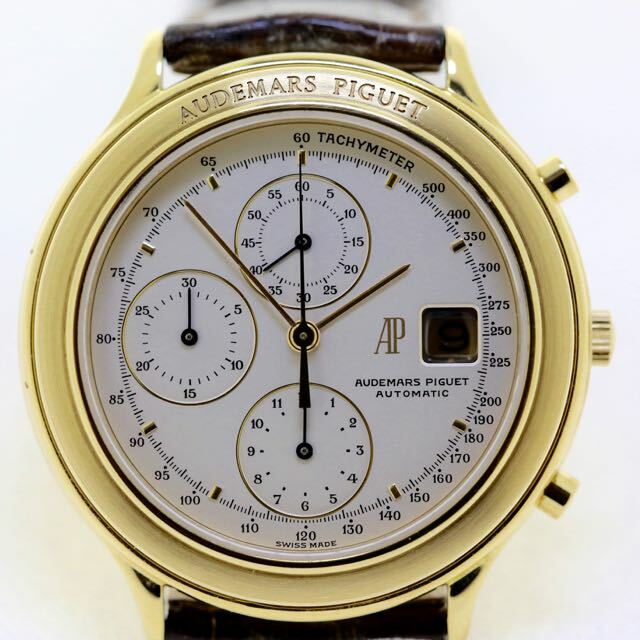 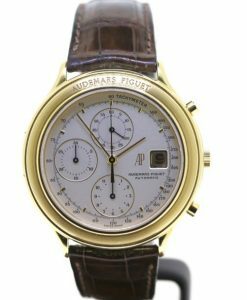 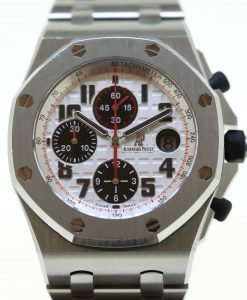 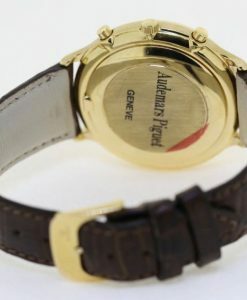 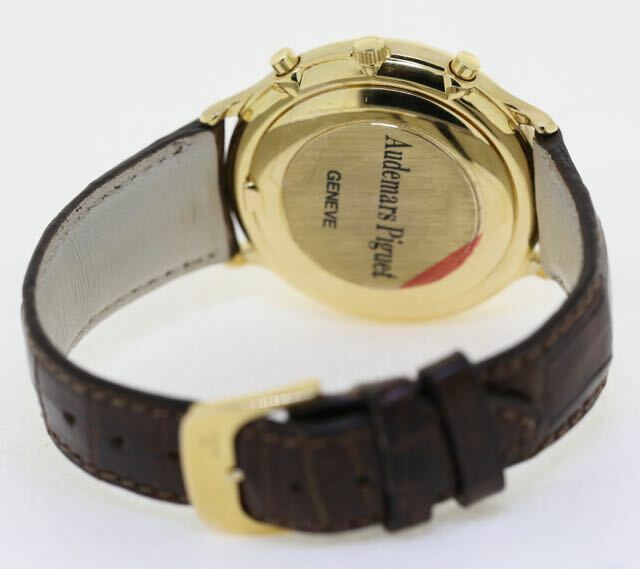 Send Enquiry for Audemars Piguet Huetime chronograph 18ct 0.750 yellow gold, just serviced. 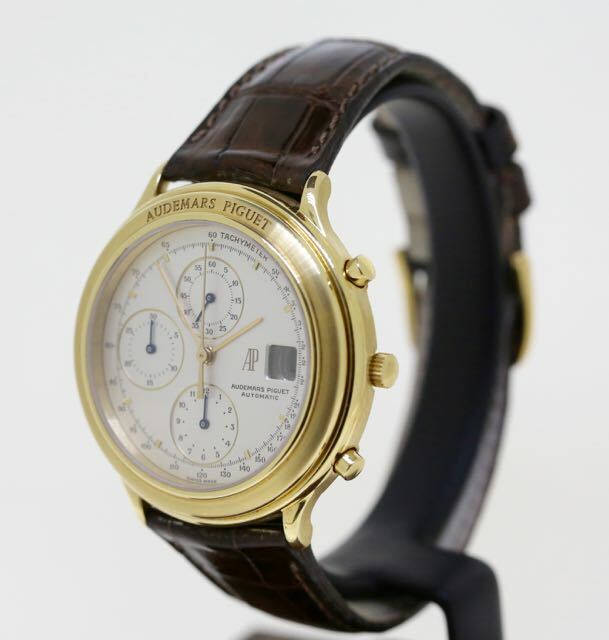 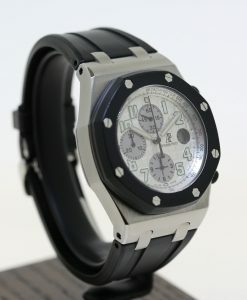 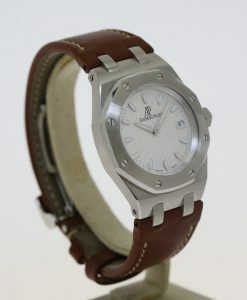 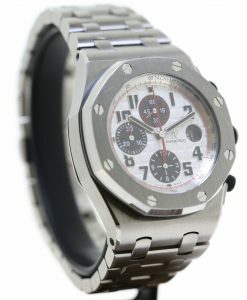 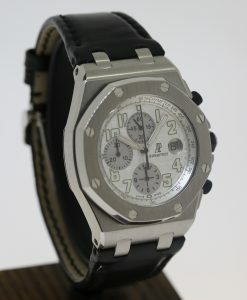 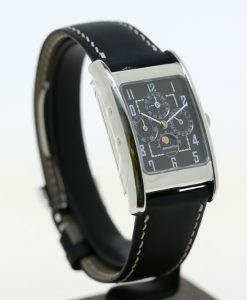 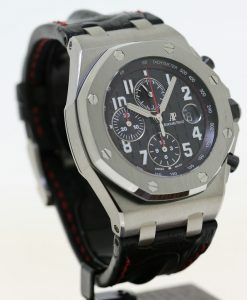 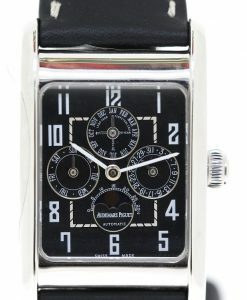 Large semi Vintage high grade chronograph from Audemars. 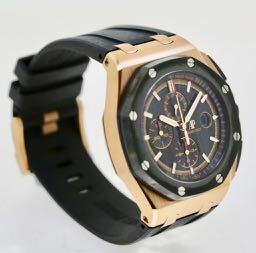 Calibre 2126 automatic chronograph with 51 jewels & 21ct gold edged rotor. 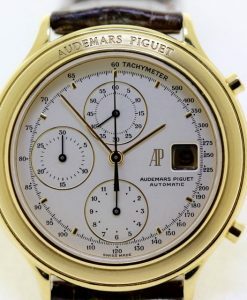 white with yellow gold markers, gold edged subsidiary rings. 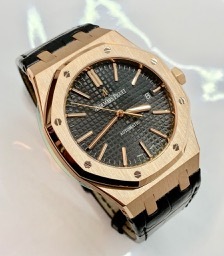 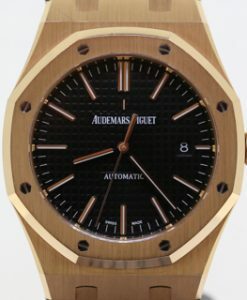 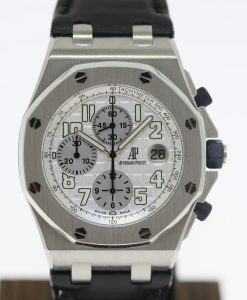 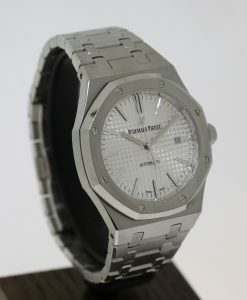 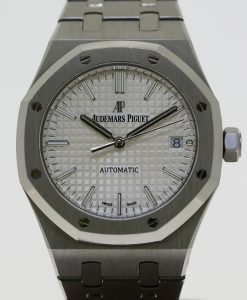 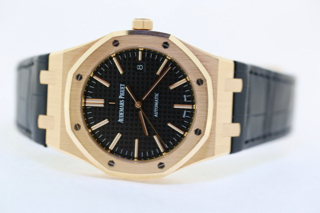 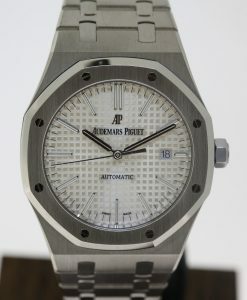 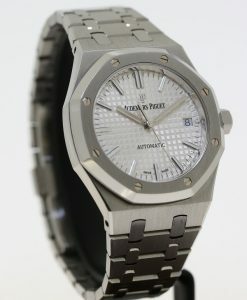 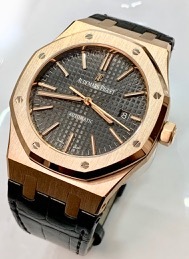 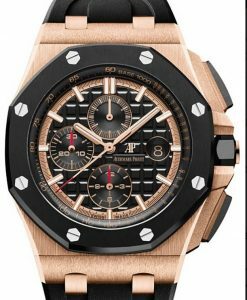 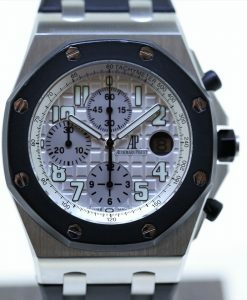 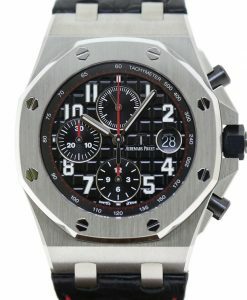 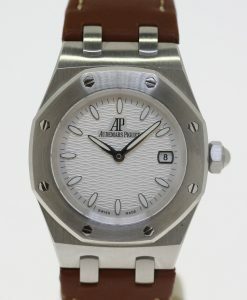 Audemars Piguet Royal Oak Offshore 18ct 0.750 rose gold, Ref: 26401RO.00.AOO2CA.01, 44mm box & papers 2018, never worn.